There are times when my body just needs a reset. I need to know what will support my body and quick! For most of my adult life I have just tried doing the basics. Eating healthier, exercising, and grabbing whatever supplements I thought would be best for me. 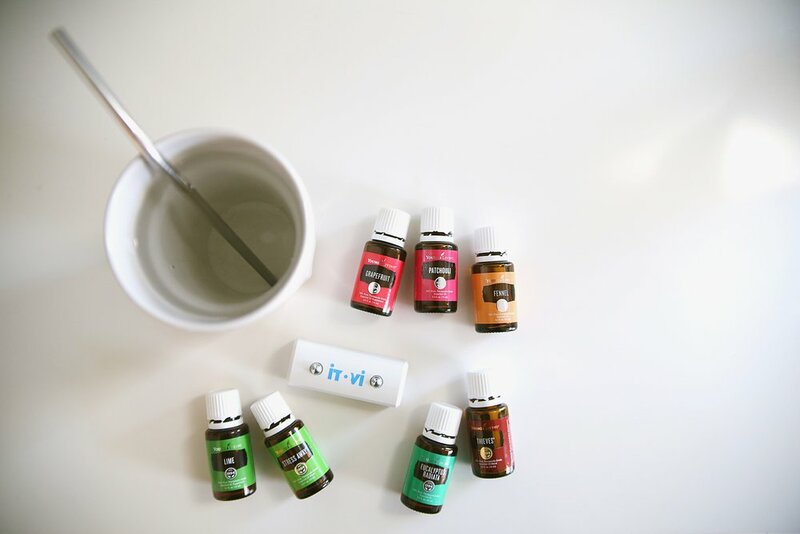 The iTovi is a hand held reader, similar to a fitbit or an apple watch, which reads your body's frequencies to tell you what oils or supplements will support your body! I have scanned numerous times and every single time this thing is spot on. The iTOVi scanner combines bioimpedance, pressure sensor, temperature, and Bluetooth® technologies to generate personalized wellness evaluations. Learn more below about the revolutionary technology that the iTOVi scanner uses here. The report that you get is then broken down into emotional, environmental and physical. It then categorizes them into oils, blends and supplements. It is really easy to use and you only need the device and your phone. Super compact! You can scan 2-4 times per week and ANYONE can use this scanner. I have scanned my children and even my puppy! Here are the two options to choose from when getting your iTovi.